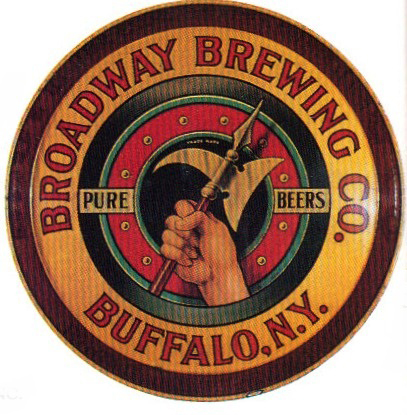 Serving Tray for Broadway Brewing Company Pure Beers from Buffalo, New York. A hand holding out a halberd is shown in the center. This pre-prohibition tray produced by Haeusermann Lithography Company of Chicago has a bold and eye catching graphic that always pleases collectors. This tray in good condition is rare and valuable in good condition.